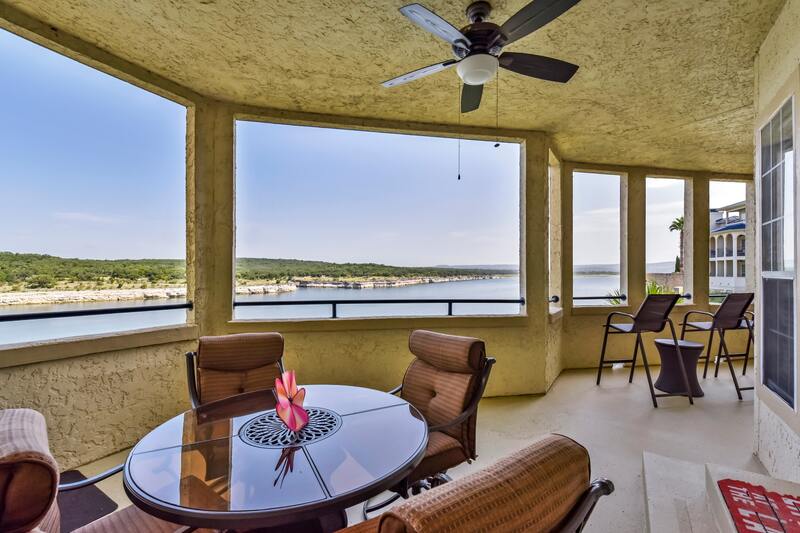 Incredible opportunity for a rare unit with wrap around balcony facing the Lake Travis deep water side, with year around breathtaking panoramic views to Spicewood. Condo is also shaded during the day to enjoy the serene views of sunrises & sunsets. Meticulously maintained, it comes 100% fully furnished, granite in updated bath/kitchen, updated fans, 2 doors to balcony, washer / dryer, murphy bed, refrigerator. Amenities- pools, gym, tennis, gym, etc!